So, it wasn’t actually International Baking Day. In fact, it was International Bacon Day, but my mom misunderstood me and the entire day thought it was International Baking Day. Maybe you had to be there, but I found it rather humorous. I personally find it disgusting that such a day actually exists – not just because I’m vegan and I LOVE pigs, but because with the overwhelming rates of obesity in our society, do we really need a day dedicated to celebrating bacon? It’s heavily processed and loaded with fat….the bad kind of fat. Wow! I could go on a rant about why you SHOULDN’T eat bacon, but instead, I’m going to share with you not one, not two, but THREE fabulous recipes that will satisfy any sweet tooth. I am a sucker for sweets. Yep. Chocolate and any baked goods are my weakness. I don’t like to have them in the house because I don’t like having the temptation around, but my dear friend, Brandi of The Vegan 8, is quite literally the Cookie Master and I needed to try some of her recipes that I’ve been eyeing up. The thing I love about Brandi is that her recipes are simple in the sense that the ingredient list isn’t a page long and every single one of them is refined sugar-free, soy-free, oil-free, vegan, and gluten-free. My kind of recipes! She has taught me that oil is absolutely unnecessary when it comes to baking and now when I’m browsing recipes on Pinterest, if the ingredient list is too long, I skip it. You’ve officially spoiled me, Brandi! Since the weather was much cooler and cloudy this past Saturday, we planned a baking day all dedicated to The Vegan 8! 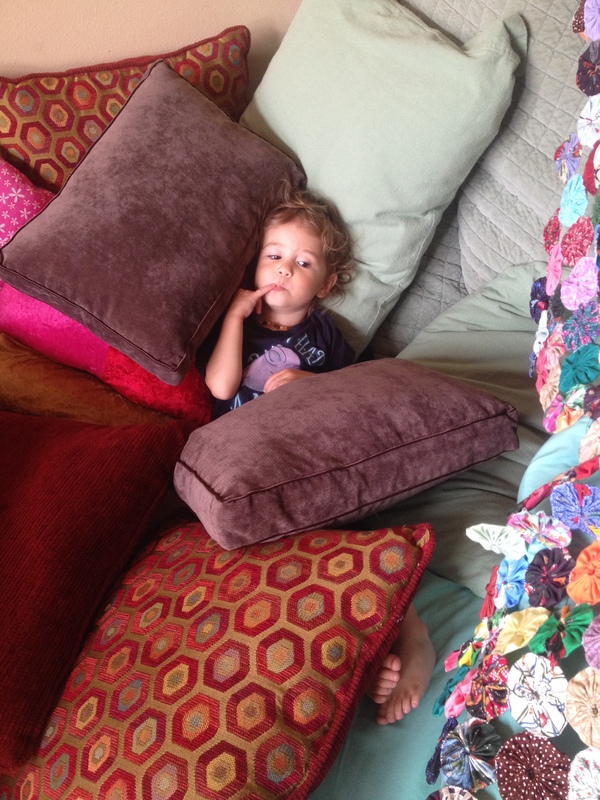 Willow loves going to my parents house because it means playing in a giant pile of pillows, watching some Peg + Cat and running around. My dad and Oma kept her occupied while my mom and I baked. Family is the best! 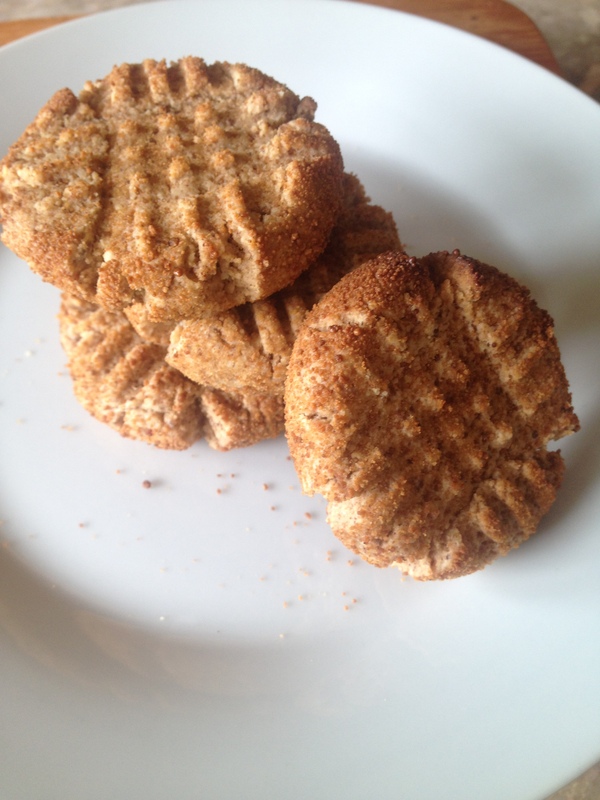 We started with a recipe we hadn’t tried before – Brandi’s 4 Ingredient Peanut Butter Cookies. Who doesn’t like peanut butter cookies?! Let me tell you, these did NOT disappoint! In fact, Willow gave them a giant thumbs up! The only modification we made was using almond pulp (leftover from making almond milk) instead of unblanched almond flour. These were fluffy, soft, and oh so peanut buttery. 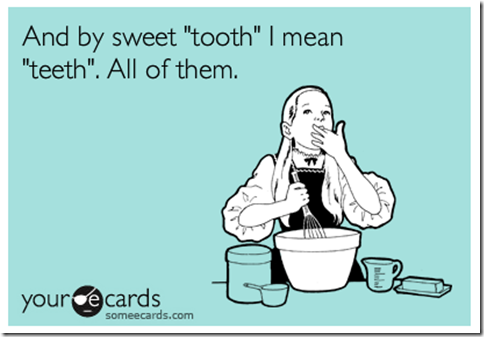 One of these could satisfy the sweet tooth, but who am I kidding…I had a few. We loved how these had only four ingredients – in the past the ones I’ve made were loaded with oil (peanut butter has plenty of natural oil) or too many flours. The addition of rolling them in coconut sugar, the fourth ingredient, was genius. 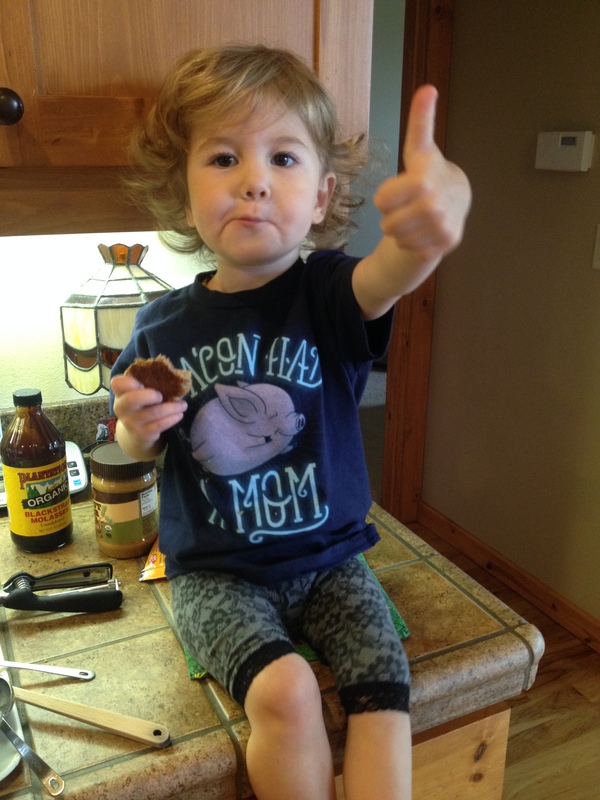 Proudly wearing her Herbivore Clothing shirt – “Bacon Had A Mom” and giving a thumbs up for the peanut butter cookies. Next we made her Dark Chocolate Molasses Cookies. I made these once before and let me tell you, these were some of the best cookies I’ve ever had. Yep. No joke. 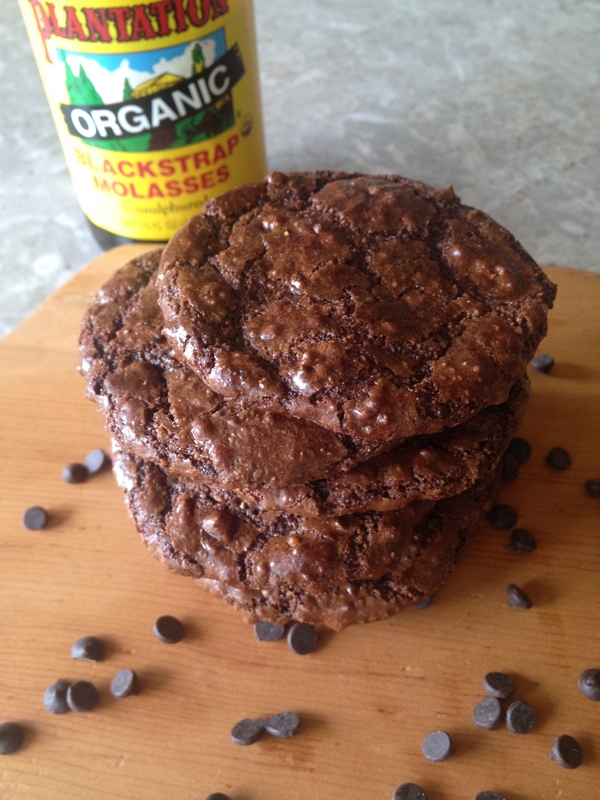 They are a molasses lover’s dream! Willow devoured these the first time I made them, so we made sure to double the batch this round! They’re crispy on the outside, but chewy & fudgy inside with a perfect molasses undertone. The first time I made these, I ran out of flax seeds, so I used ground chia seeds instead. This time we had flax seeds and each time they turned out perfect. For this round, we used a combination of leftover almond pulp, raw ground pecans (because at first we actually thought it was leftover almond pulp) and some unblanched almond flour. I did notice that they turned out a bit more flat and seemed a bit crispier, but were still absolutely delicious! Out of the three recipes we made, these were Willow’s personal favorite. We might have saved the best for last. When I came across this recipe, I was literally drooling. Cinnamon Hazelnut Chocolate Chip Cookies. OH. MY. GOODNESS! I am a HUGE fan of hazelnuts, but the addition of chocolate and cinnamon is heaven in every bite. We followed this recipe exactly and were blown away. There was just the right amount of cinnamon and the hazelnut flavor was astounding. 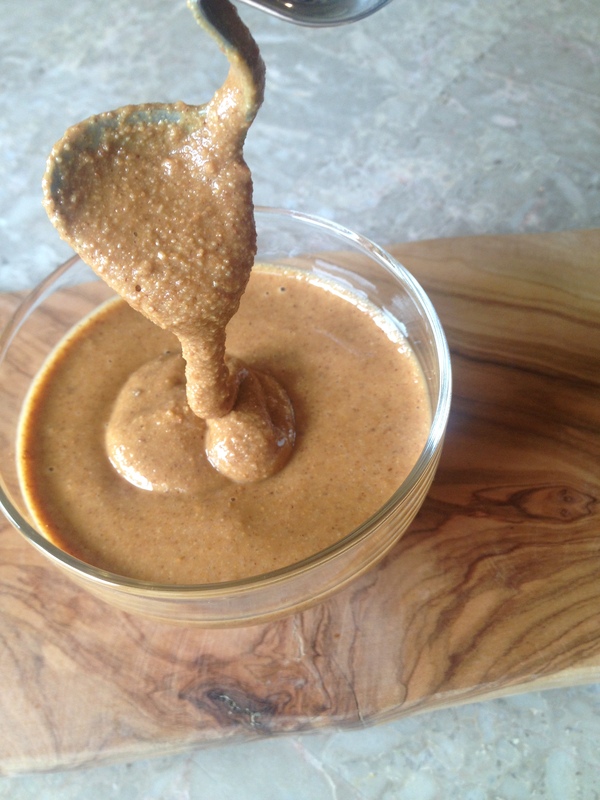 There were so many things I loved about this recipe, but I’d have to say my favorite part was making homemade hazelnut butter. Not to embarrass my mom, but while I was getting these bad boys set for the oven, I could hear her repeatedly oooohhhing and ahhhhing over this hazelnut butter….we were both guilty of licking the spoons and spatulas because it was that good. So, there you have it! 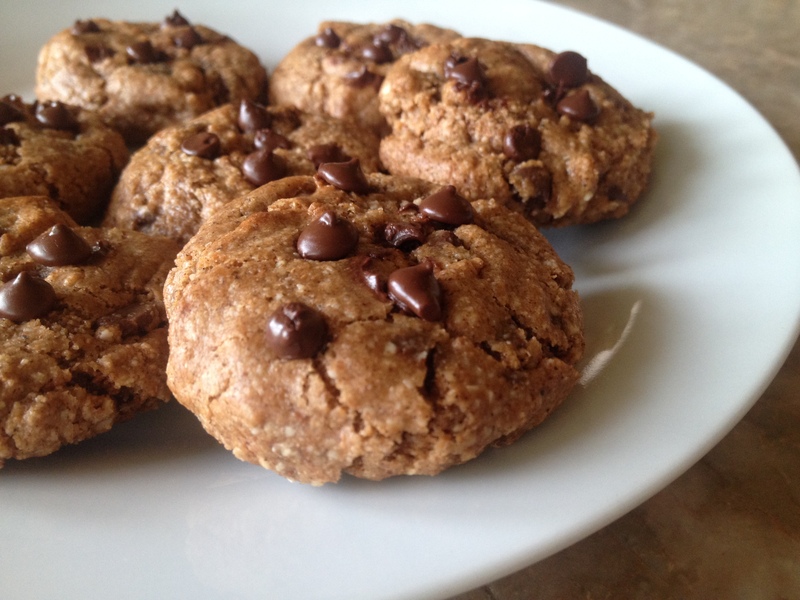 THREE amazing cookie recipes all created by the fabulous Brandi, of The Vegan 8. Please check out her website and for those who are new to my blog, you can read more about Brandi, HERE, in an interview I did with her.